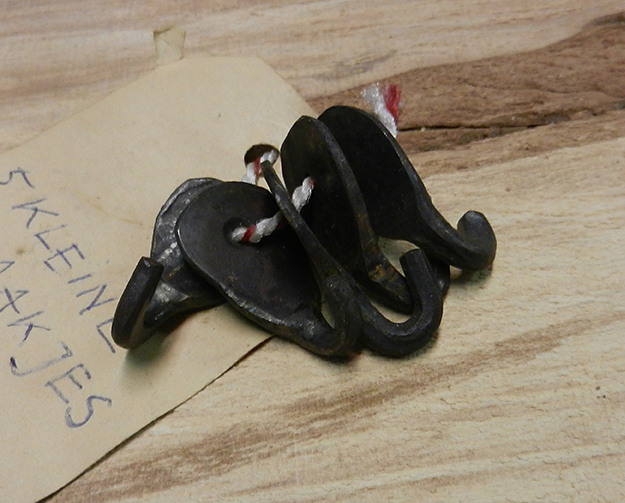 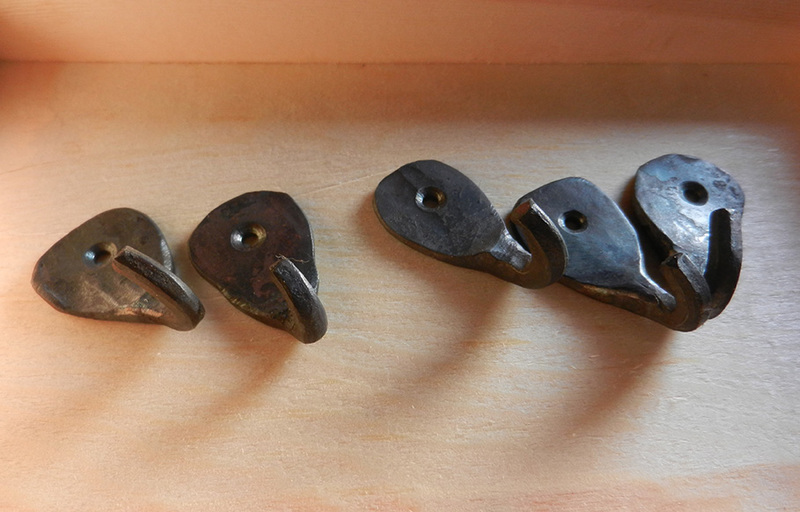 This set of little hook can be very usefull in your kitchen, to hang on cutlery or a Towel. 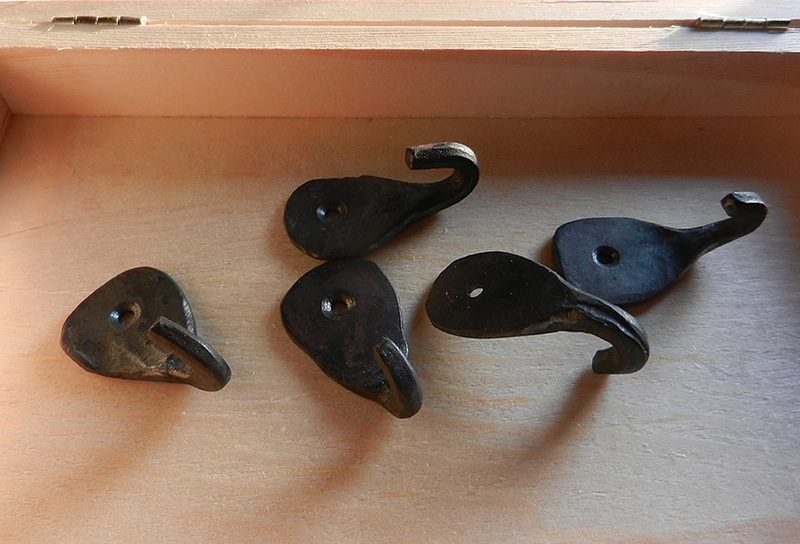 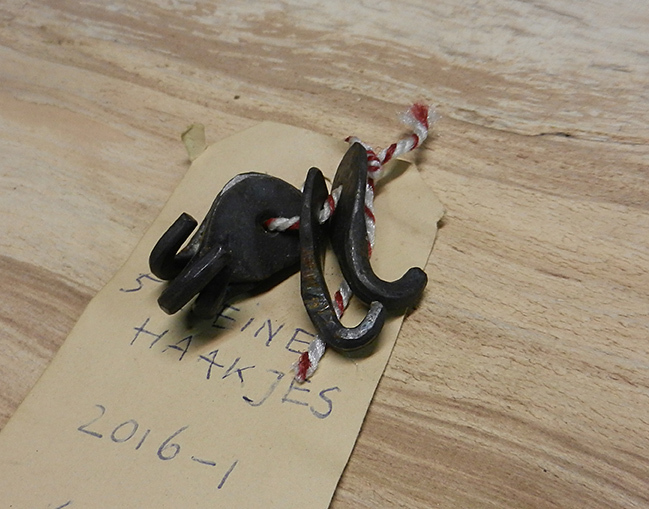 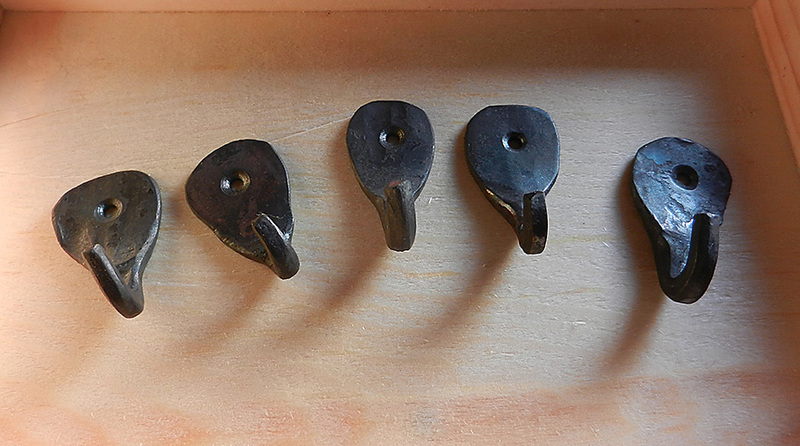 The hooks have been treated with wax. 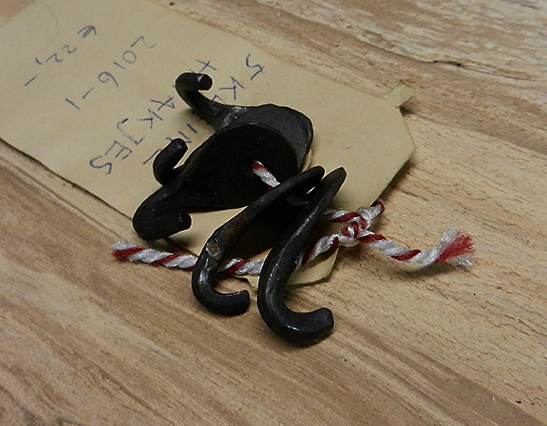 The wax is applied onto the metal in the fire, thus creating the fine patina, and will prevent it from rusting easily.